Dr. Gina loves working with and empowering women to live their healthiest lives! 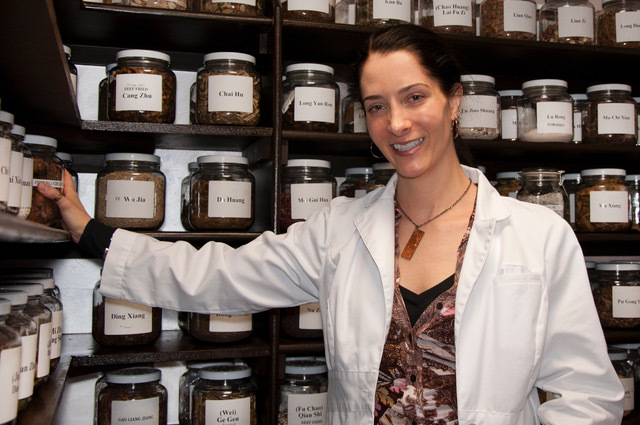 Dr. Gina maintains a private practice at her Chinese and Integrative medical clinic, Healing Traditions Integrated Wellness in Denver, Colorado, which she has owned and operated for the past decade. Dr. Gina is a licensed Acupuncturist in the state of Colorado, is NCCAOM board certified in Oriental medicine and is a Fellow of ABORM (American Board of Oriental Reproductive Medicine). Dr. Gina began her studies in the field of health, earning a B.S. in Kinesiology and Applied Physiology from the University of Colorado at Boulder. Dr. Gina later earned her Master’s of Science in Oriental Medicine (MSOM - 4 year degree) from South-West Acupuncture College in Boulder, Colorado. After 6 years in private practice, Dr. Mortellaro-Gomez returned returned to school (while maintaining her practice in Denver, CO.) to pursue her Doctorate in Acupuncture and Oriental Medicine (DAOM - 2 year residency) from Yo San University, in Los Angeles, California with a specialty in Reproductive Medicine (For Men and Women) and Women's health-OBGYN. Dr. Mortellaro-Gomez's Capstone-Thesis Research Title was: Infertility and Autoimmune Hypothyroid (Hashimoto’s Thyroiditis): Neuroendocrine-Immune modulation and fertility support utilizing Traditional Herbal Medicine (THM). A Systematic Review. Dr. Mortellaro-Gomez also received advanced clinical training and a post-graduate diploma in Chinese Herbology from the Academy of Chinese Medical Sciences in Beijing, China. She also completed an advanced clinical externship in “Ancient Chinese Medicine” (ACM) specializing in Acupuncture, Chinese Herbology & Meditation, receiving a post-graduate diploma from The Shanghai Insight Ancient Chinese Medicine Training Center in Shanghai, China. In practice, Dr. Gina specializes in Reproductive Medicine and OBGYN, as well as, in the “balancing of hormones (Female/Male, Adrenal, Thyroid) and addressing autoimmune conditions utilizing a combination of Chinese and Functional Medicine, as well as, Dietary and Nutritional Therapy.